Recent trends have seen Metro Atlanta real estate interest rates rise slightly over the past couple of months. While prospective home buyers may feel disillusioned by rising rates, let's take a look at what it may mean for them and the possibility of becoming homeowners. As mortgage rates increase, naturally, the amount of home you can purchase decreases. In other words, the higher the interest rate, the higher the payment — and perhaps the lower the mortgage amount must be to be affordable. Borrowers need not be completely dismayed however, as there is flexibility among mortgage lenders and their qualification guidelines. Let's take a short revisit of the rate fluctuations since the presidential elections of this past November and review how interest rates have affected home affordability. How will recent Metro Atlanta real estate trends affect the housing market? Between the election on November 8 and Christmas of 2016, Metro Atlanta real estate interest rates went up .75%. The rate increase was fueled in part by the feeling on the part of the American public that the new administration would enact policies of infrastructure spending, tax cuts, and a certain amount of deregulation that, once enacted, would be inflationary. In addition the skyrocketing gains in the stock market pushed the bond yields downward, and since mortgage rates are very closely tied to the US Treasury bond rates, mortgage rates had nowhere to go but up. Most savvy economists felt when interest rates rose, they would also level off in time. And, while that is happening, it is still volatile at best. Interest rates go up and down literally daily in response to investors reacting to policies of the new administration. When investors exhibit concern that post-election inflation will continue to occur, the rates go higher. Conversely, when investors feel inflation will be softened by certain policies, delays in action, or hindrances, rates will come down. The bottom line for interest rates is the post-election peak seems to be over, and the net result is an interest rate increase of roughly .5% since the election. Experts predict continued rate volatility as stock market investors and the Federal Reserve work to gauge interest rate movement as part of the new government administration. Here's how that volatility is expected to impact housing activity. According to experts, a $350,000 home purchase on which a prospective borrower plans to put down 20%, a rate increase of .5% reduces the affordability by roughly $17,000. While such a decrease in affordability may tend to make a prospective homebuyer look for a lower-priced home, there are other alternatives — especially if you're familiar with how most mortgage lenders operate. For decades, mortgage lenders have used a debt-to-income (DTI) ratio in their qualification guidelines. A DTI compares the relationship of your total monthly recurring debt to your gross monthly income. Mortgage lenders typically like to see a DTI of 43% or less. Borrowers earning, say, $65,000 annually with monthly obligations such as an auto loan and credit card bills totaling $615 per month may have qualified for the $350,000 home mentioned above. However, at a slightly higher interest rate of .5% more, they may not. Here’s why: At the income and debt totals currently, the DTI ratio was less than 43%. With the rate increase, it’s climbed to over 44%. At first glance, the only solution is to work to reduce the purchase price down to $333,000 (the original $350,000 less the $17,000 by which the affordability was reduced.) That would reduce your DTI back to a level less than 43%. However, let’s consider an alternative. Rather than trying to get the price reduced by $17,000, most experts recommend lowering your other recurring debt. As an example, a monthly credit card payment of $125 with a remaining balance of $3,125 can be reduced to roughly $45 per month by paying down the balance by just $2,000. Honestly, that may be a much easier solution and a much softer sell than trying to get the seller to come down $17,000. 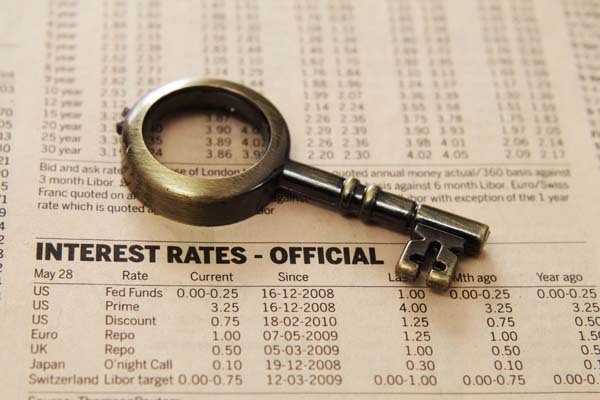 It’s important to keep an eye on interest rates and other changes in the marketplace. Remember, in much the same way that the old adage, “All real estate is local,” all mortgage lending is individual. What that means is every situation is different and everyone’s DTI is comprised of components that may be changed slightly to improve the qualification percentage. Don’t make the erroneous assumption that rising rates will always reduce the price a borrower may qualify for. See more articles pertaining to the latest Metro Atlanta real estate interest rates and trends in the section of articles on Atlanta Real Estate just below Atlanta Real Estate Categories in the column to your right. And remember, we also post tips daily on Facebook and Twitter. Check us out there as well. « Metro Atlanta Mortgage Rate Outlook: Rates Rising?